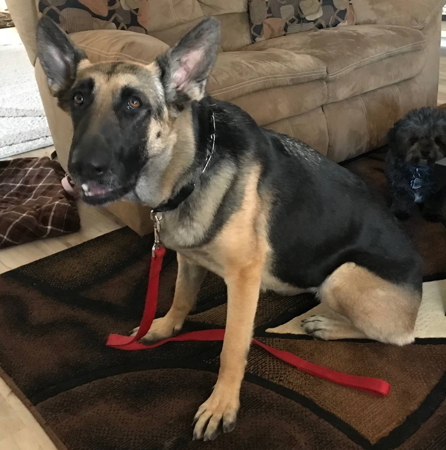 Mila is a very sweet 2-year-old black and tan girl, who came from a local area shelter, so little is known about her background. She is currently around 78 lbs but she has not been eating well for a while, so we are working on getting her to a more healthy weight of 90-95lbs. She loves being in the house but it appears that Mila has spent most of her life outside so she'll need more reminders about proper indoor manners (don't leave her with your shoes). She also loves sleeping in her crate at night and being next to her people in the day time. Mila is very shy at first but she loves all people big and small. She is still kind of clumsy, so a home with children over the age of 7 would be best for her. If she doesn't know you she may bark, but she'll warm up to people once she's gotten to know them. Mila has been known to run away if she's off-leash, but she is learning leash manners really quickly and she knows and loves the word "walk". 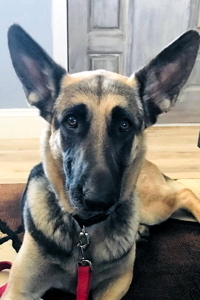 Mila will need an experienced person to keep teaching her obedience and what it means to be a good dog. She gets along with other dogs, and she is still learning how to play appropriately. She just wants to be free to play, play, play. She enjoys car rides and is ready to embark on any adventure with enthusiasm and a good sniff. Mila has not had a lot of love in her life from people until now and she finds getting scratches on her belly and neck are the BEST!! 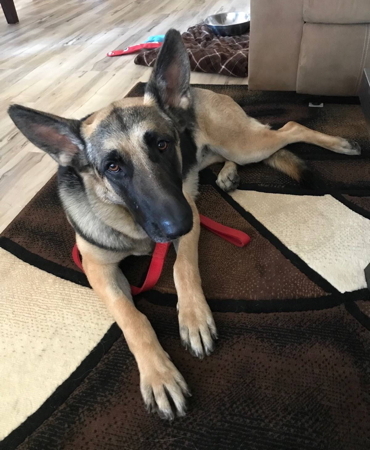 We have no doubt that we'll find a forever home where Mila can continue to learn, go on adventures, and be a part of the family. 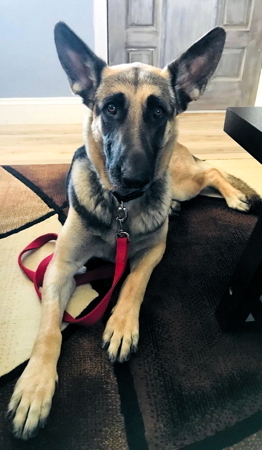 Please come, take Mila for a walk and we are sure you'll become best friends! !